Ryan was born into an Air Force family in March 1977 while they were stationed in Wichita, Kansas. About a year later, the family relocated to Dallas, Texas to be closer to his Dad’s family. While there he developed a love for God, Family, Country, and Texas. Around 10 years old, the family packed their stuff and moved to Raleigh, North Carolina to be closer to his mom’s parents. They moved to North Carolina in the spring. This allowed him to be introduced to the annual rite of spring for kids on Tobacco Road; classes were cancelled so students (and teachers) could watch the ACC Tournament. Thus began his love for ACC basketball. As his path continued to be discovered, he found himself in Florida for High School, then Savannah, GA to help his dad build a dry-cleaners along with other businesses, and finally back to North Carolina for college at Appalachian State. He completed his bachelors. After completing a Bachelors in Criminal Justice, he decided to go to graduate school to pursue a Masters in Political Science. That proved to be useful as he met the girl of his dreams in one of those classes and was accepted into law school. After a quick two years, he had a decision about which profession to pursue…politics or law. The dream of law school was stronger than the pull of DC so it was time to pursue a law degree. He enrolled in Campbell Law School. During his time there, he enjoyed several successes and accolades. After graduating, Ryan and his wife decided he should take the Virginia Bar Exam. After successfully passing the Virginia Bar Exam, he found a job in Roanoke practicing law splitting time between criminal defense and family law. After five years and two kids, he and his wife decided to move closer to her family. 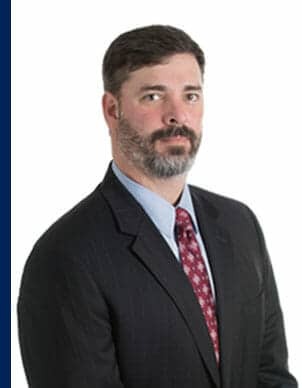 In June 2012, he began practicing here in the Tidewater area where he has continued to develop a strong reputation for being a fair but tough litigator while helping parties develop reasonable solutions in difficult situations. CONTACT RYAN NOW TO GET THE HELP YOU NEED!